Located in Iowa, 65 miles northwest of downtown Des Moines, Caroll Area was initiated in 2006 by a group of local renewable energy advocates seeking to own and develop their own wind farm. During development, the local owners facilitated a strong relationship with the community. *OwnEnergy partnered with the owner group in 2011 to complete the development. In October 2014 the project was purchased by NJR Clean Energy Ventures (NJRCEV). 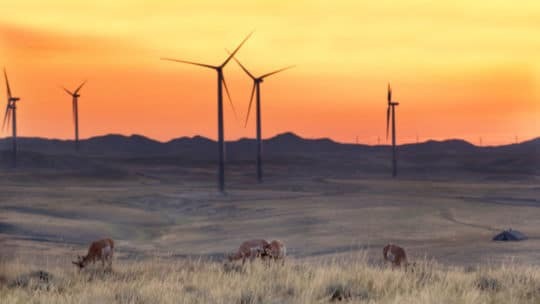 The project’s entire energy output, capacity benefits and renewable attributes, will be sold through a 25-year power purchase agreement (PPA) with MidAmerican Energy, Iowa’s largest energy company. MidAmerican Energy serves approximately 739,000 electric customers in Iowa, Illinois and South Dakota, as well as 719,000 natural gas customers in Iowa, Illinois, South Dakota and Nebraska. Additionally, NJRCEV expects the wind farm will qualify for federal production tax credits (PTC), which are based on a kilowatt-hour output. All PTCs generated by the Carroll Area Wind Farm will be utilized by NJR.